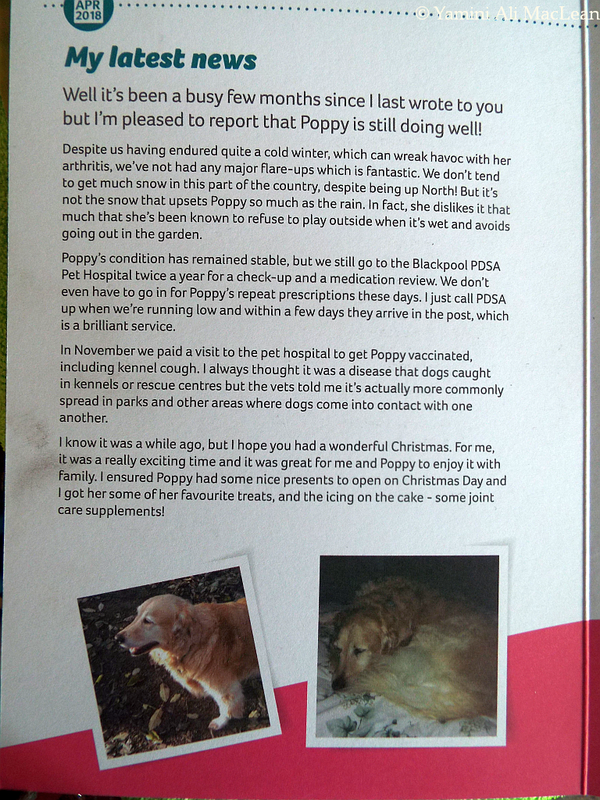 It has been a while since my PDSA pup, Poppy, sent a repawt card. It arrived last week. 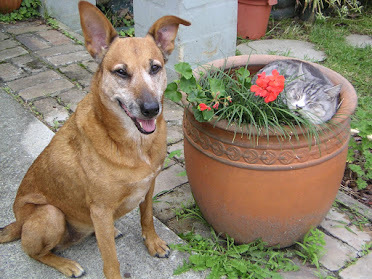 The YAMster has a handful of charities she supports monthly, two of which are animal organisations. The Guide Dogs UK where I currently sponsor Irvine; and the Peoples Dispensary for Sick Animals. Poppy has been getting my support money for a little over a year now. Both Irvine and Poppy are my second supported dogs. It is my way of sharing in pet ownership, as I cannot realistically have my own dog at the moment. 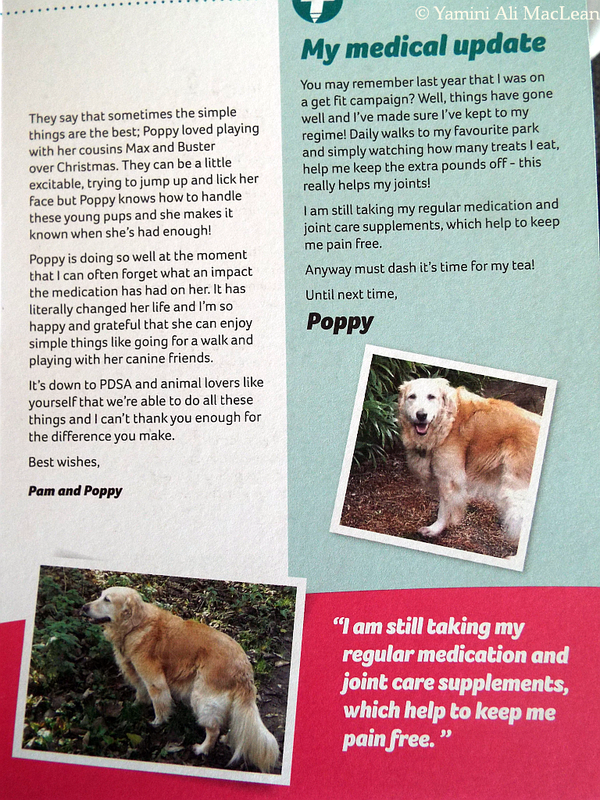 So pleased to read that Poppy is doing well and is enjoying daily walks to tHE PARK. 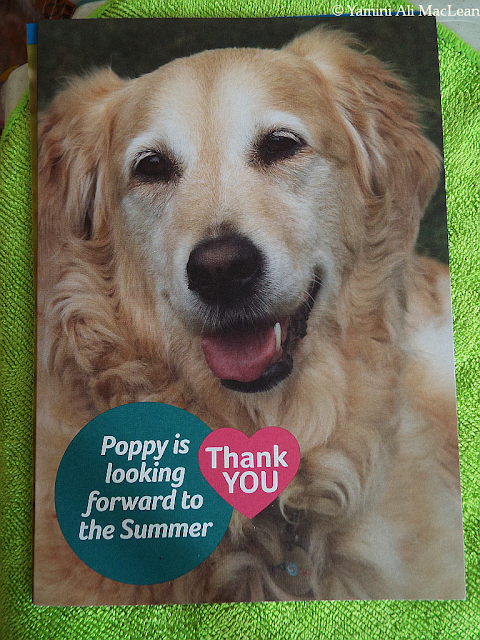 So thrilled to hear Poppy is doing so well. Good to know Poppy is still dog happy! That was a very good report from Poppy. What a beautiful girl she is!!! Oh my goodness what a precious one Poppy is! And the same can be said for Irvine. 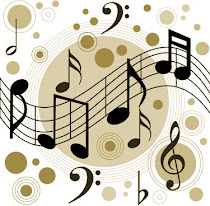 How lucky they are to have your support, and what a gift to you to share in their life with the reports you receive. The best win-win. Oh, that pretty face made me think of our sweet Samantha, 1988-2002. So glad Poppy is doing better.